Android 2.3 Gingerbread Getting Google Music Sync? We haven’t heard much about Google’s cloud based music features in Android since their last I/O developer conference last year, but now a screenshot has appeared from a device running Android 2.3 Gingerbread that has a ‘Sync Music’ option. 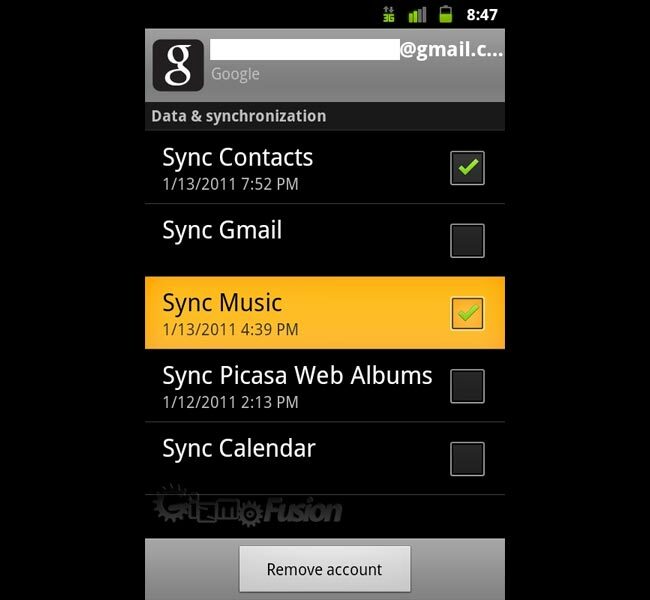 According to the guys over at Gizmo Fusion, Music integration will be as deep as Facebook, contacts and calendar sync, and we there is the possibility that the feature might actually go live before Google I/O 2011. Of course we still need confirmation from Google on when the service will actually launch, if it does, as they have been pretty quite on it since Google I/O last year.